With more than a billion users and over 300 hours of video uploaded per minute on youtube make sure you monitor what’s posted on the platform and automate your monitoring with Alerti. Create alerts combining various keywords and retrieve only the videos that match your exact search criterias. Exclude search terms you’re not interested in. Specify the language of your alerts to make sure our search engine only shows you relevant videos. Measure precisely the number of videos posted per period. Compare over time. Analyze the sentiment around the topics you’re monitoring. Monitor your competitors. Benchmark against them. Compare what’s being said, the sentiment around their brand, the volume of mentions. 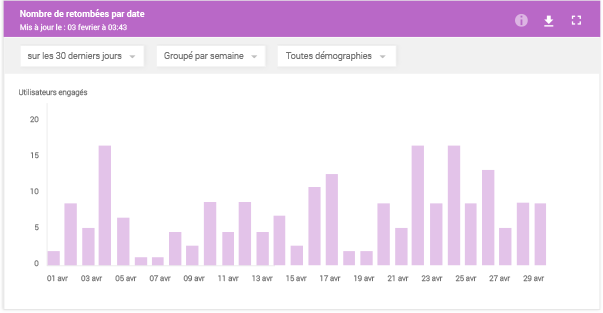 Get a clear picture of the main trends with our summary dashboards. Keep your alerts with you. 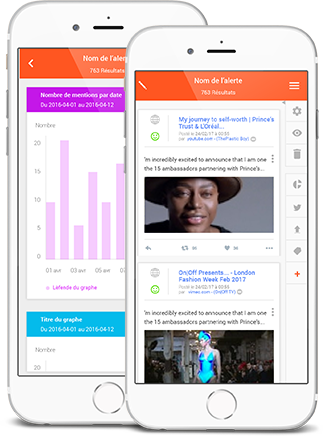 The alerti app will let you access your mentions from anywhere.